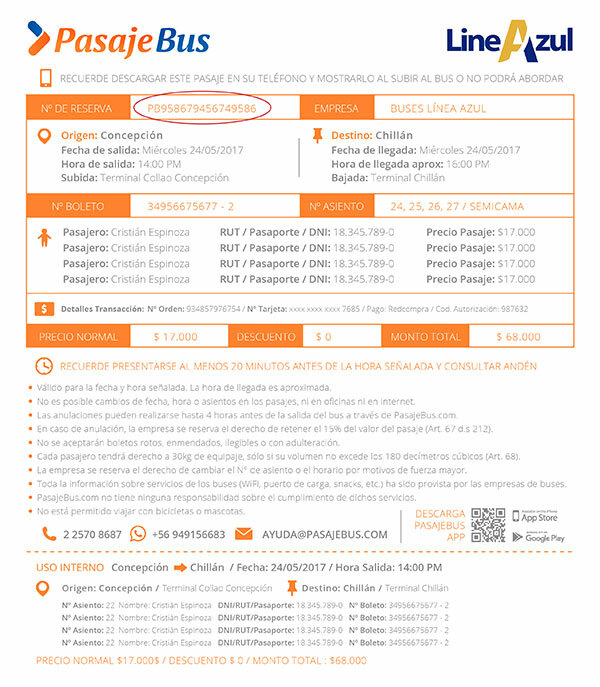 Born in 1964, Buses Línea Azul was created to offer intercity transportation and cargo services within San Carlos, Chillán and Concepción. Today, with more than 50 years of existence, Buses Línea Azul has presence in the main cities in Chile, from Santiago to Puerto Montt, offering services with a modern fleet of buses that make the 150 daily departures are comfortable and safe travel experiences. Chillan, Bio Bio Region, Chile. Monday to Sunday 08:00AM to 19:00PM.